As a responsible corporate citizen, Harbinger is committed to CSR (Corporate Social Responsibility) practices that are sustainable and benefit the communities at large. Corporate Social Responsibility (CSR) at Harbinger is beyond products and profits. It is about attempting to make a difference in the society we live in. Donating money for charity and sharing our time for social causes are the most natural ways of contribution. At Harbinger, we go a step forward and plan our projects with the aim to help institutions and individuals become sustainable and self-reliant. 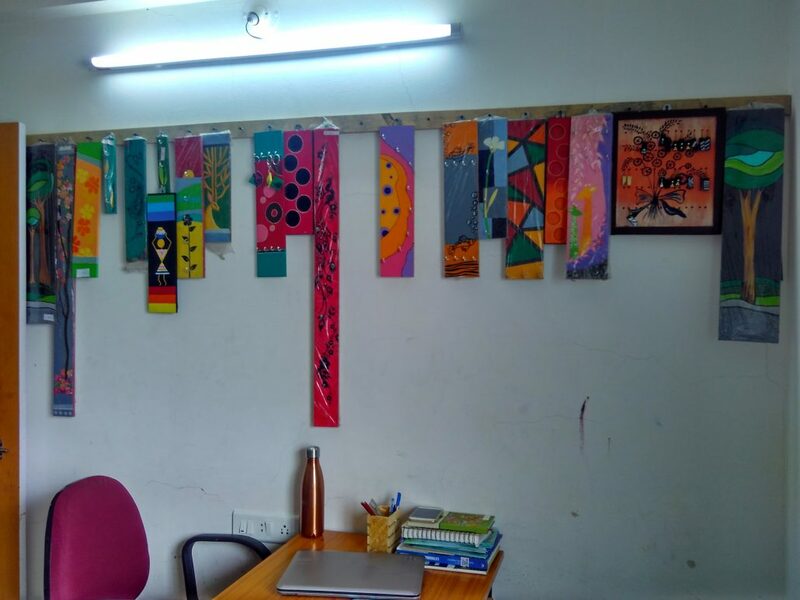 Harbinger is working with an NGO named Adivasi Vikas Prabodhini on a project called “Creative People”. The idea behind this project is to make a difference in the lives of differently abled youngsters and to give them a sustainable livelihood. Currently we are engaged with 11 hearing impaired youth around 22 years old who are provided with vocational training on making small household display items. To promote their different skills, embroidery machines were bought where they learnt to do embroidery work. In addition to this, making of cakes and pastries were taught to them as well. These products are sold in the external market and feature on the menu in Harbinger’s Friday lunch! Every year we at Harbinger celebrate ‘Daan Utsav’ – which is India’s own festival of giving. Earlier known as the ‘Joy of Giving Week,’ it was initiated in 2009. This year we celebrated ‘Daan Utsav’ at Harbinger between October 02 & 07, 2017. This is a platform for all Indians to give back in whatever form or manner they choose to, be it time, money or skills – to someone less privileged. 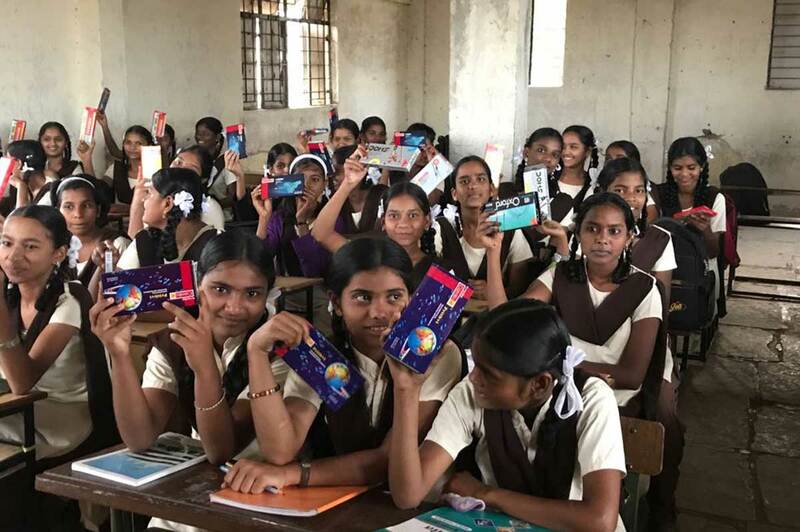 The stationeries and study materials collected during the Daan Utsav was distributed among the children in Moma Mohal School, Warje. Harbingers became a part of sustainable development by joining hands in helping the villagers in the Vanrai bandhara construction. 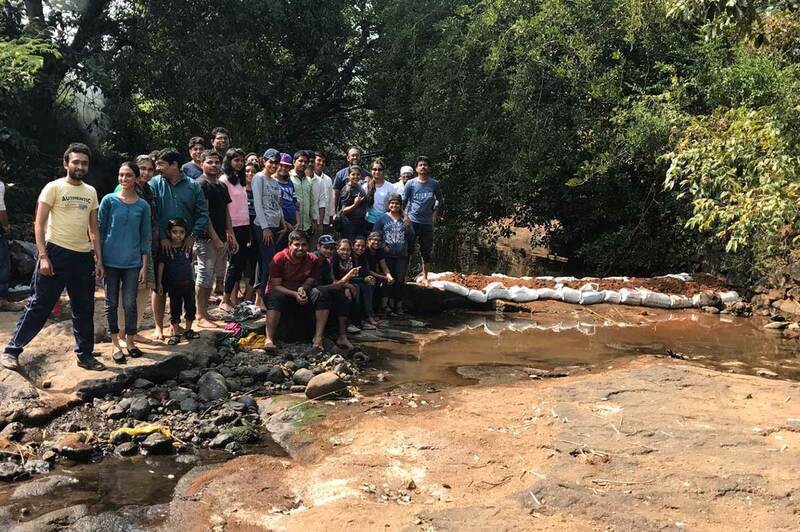 Vanarai bandhara or Bunds are constructed across a small river using gunny bags refilled with sand to form a wall barrier to collect the water as well as to reduce the velocity of stream so that infiltration rate of water increases. Vanarai Bandhara is constructed at the end of monsoon period to last till the onset of the next monsoon. 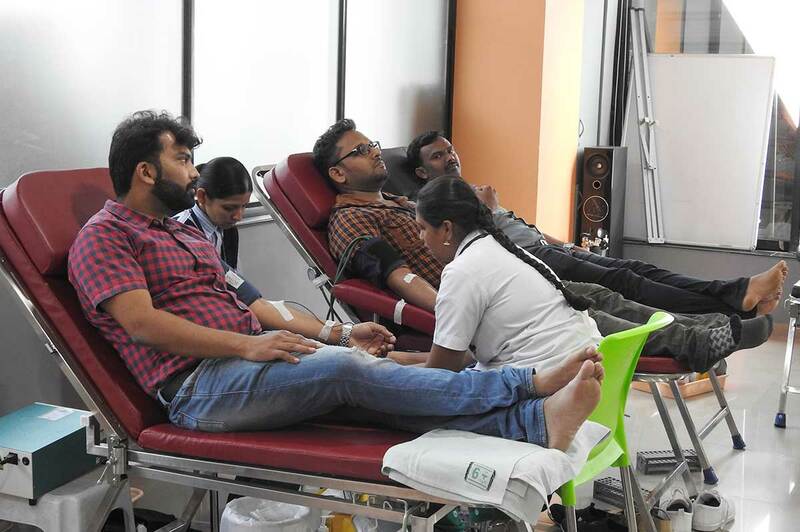 Harbinger organizes frequent Blood donation drives for its employees. So successful are these drives, that our neighboring companies like Alfa Laval and ISN also encourage their employees to participate in this noble cause. Every year during Christmas, Harbinger plays Santa by collecting contributions from its employees, the proceedings of which are used to improvise the infrastructural and learning needs of Municipal School in Warje -Mama Mohol School .Last year the proceedings helped to build a Sports Library, and purchase of educational tools and props while this year the proceedings were used to provide learning aids for the kindergarten set up. 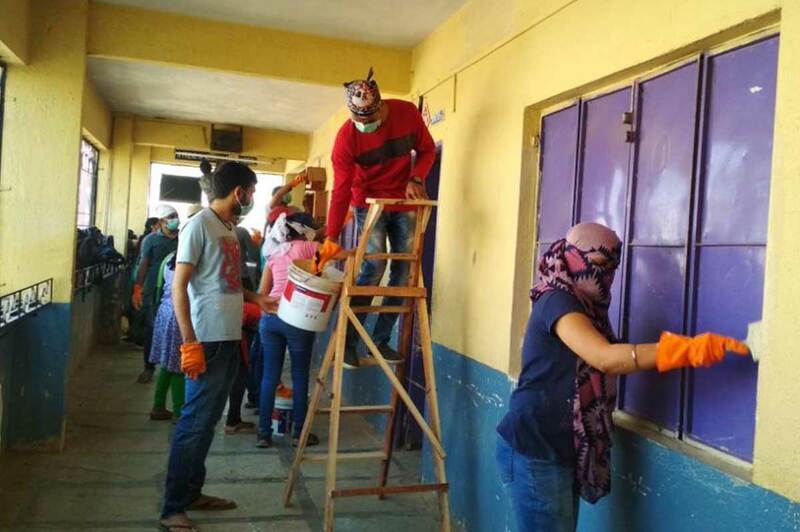 Harbingers indulged in cleaning and painting the school corridors of the Mama Mohol School ,a municipal school at Warje over a weekend. 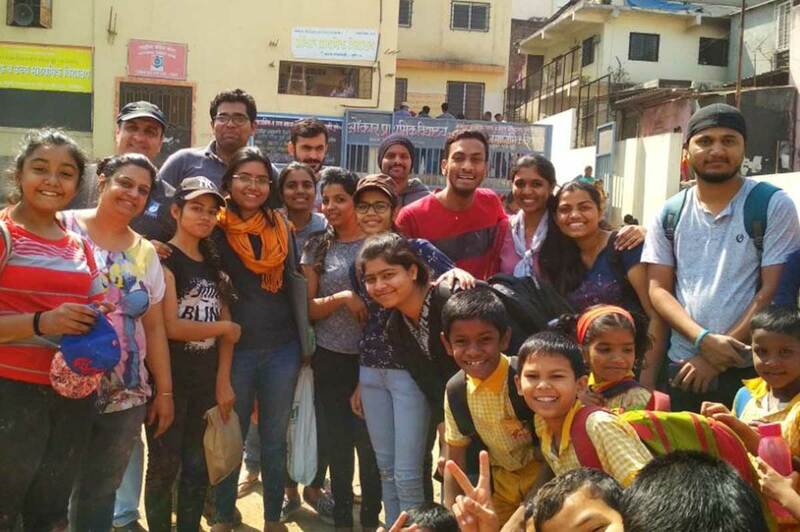 This was not only an engaging activity of Harbingers but was also done with a message to the school children to keep their school clean and tidy. 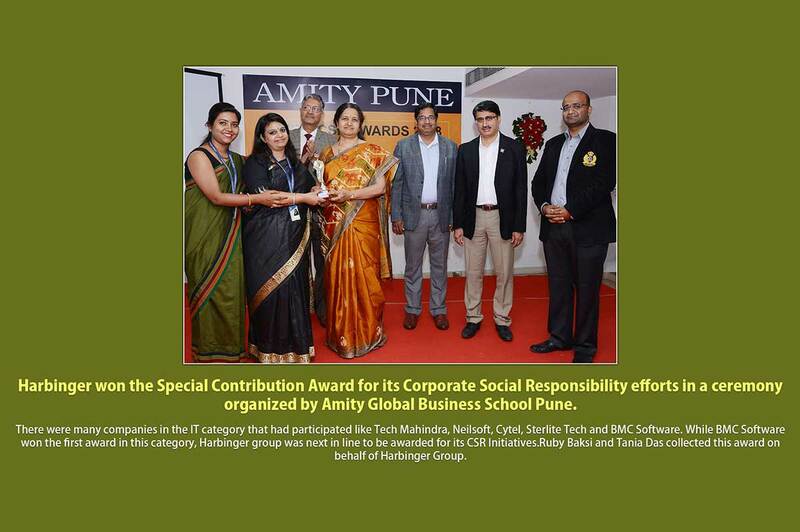 Harbinger Group was awarded Special Contribution Award for its Corporate Social Responsibility efforts in a ceremony organized by Amity Global Business School Pune. Harbinger also conducts various other CSR activities on a periodic basis such as blood donation drives, short animation films for traffic awareness and much more. Harbinger team held an entertainment program for the benefit of armed forces veterans at a Paraplegic Center as well. At Harbinger, each activity is more than just an ‘initiative’. It is our heart-felt desire to give something back to the society that has done a lot for everyone around us. We are in pursuit of building a community which would bring everyone together for leading a happier and a satisfied life. To know more about our CSR initiatives visit Harbinger Group.